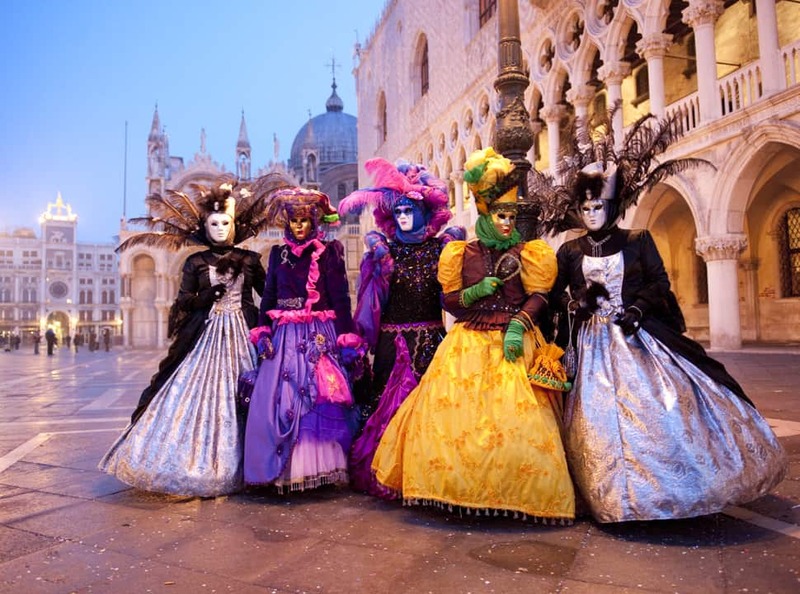 Carnival of Venice: It's Magical! 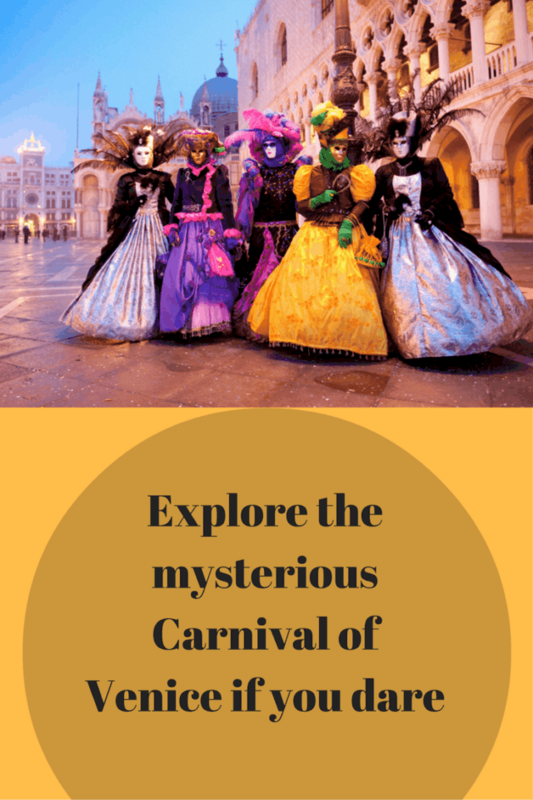 Carnival of Venice: It’s Magical! Hands down, the most spectacular event I’ve ever witnessed has to be the Carnival of Venice. 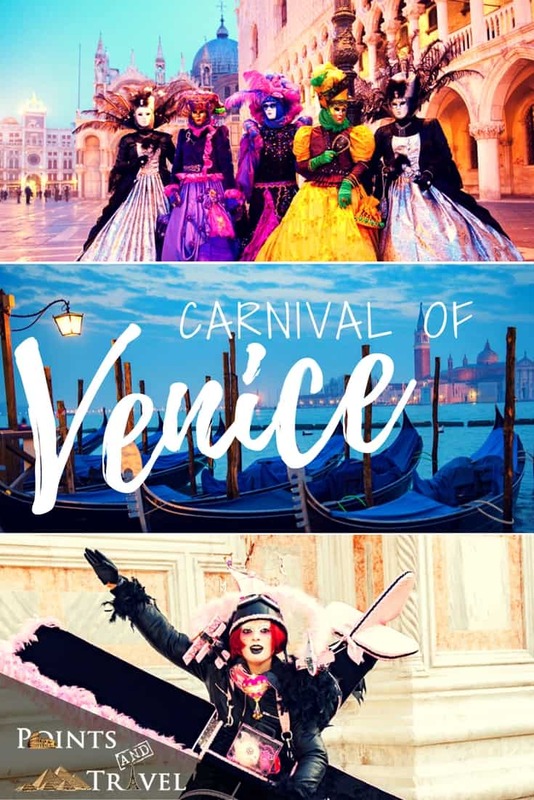 I didn’t rent a costume or pay to attend any of the masquerade balls, but I had the time of my life wandering this historical city and being utterly bedazzled by the continual parade of costumed people there to celebrate Carnival of Venice. 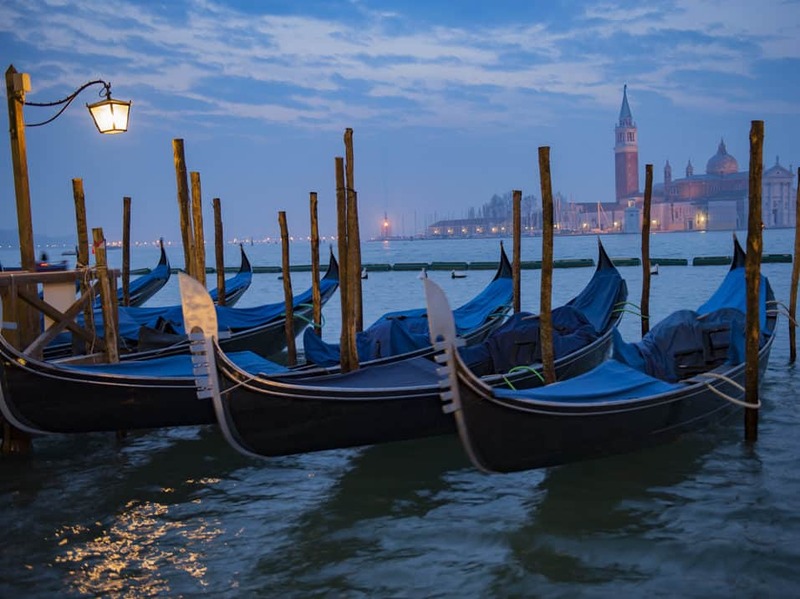 History will say that Carnival of Venice came to life in 1162 as a victory celebration by the Serenissima (the original name of Venice) over a war against Ulrico, the Patriarch of Aquileia. That said, when Venice was under the rule of the King of Austria, the festival was outlawed in 1797, but would return in full force in 1979. 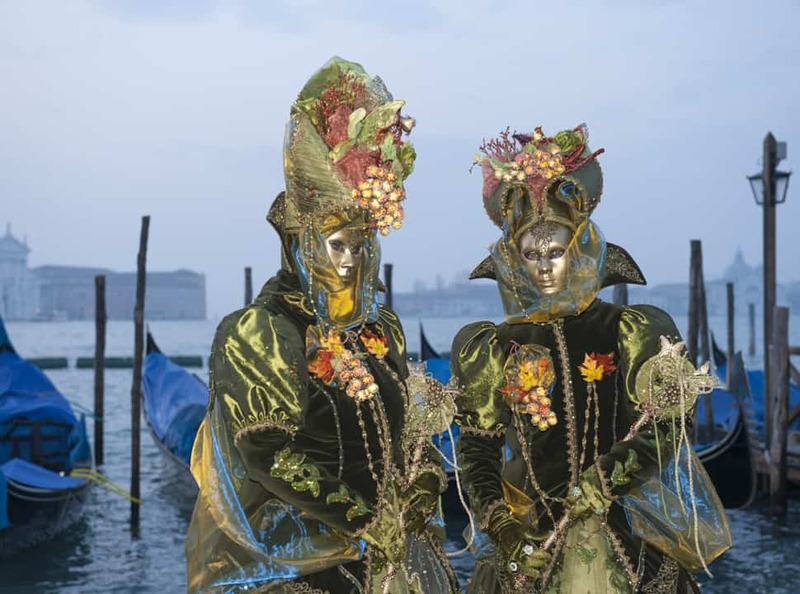 While I’m condensing a deep history into a few words, it’s easy enough to go online to research the beautiful city of Venice and Carnival, which always ends at the start of Lent (which occurs 40 days before Easter). 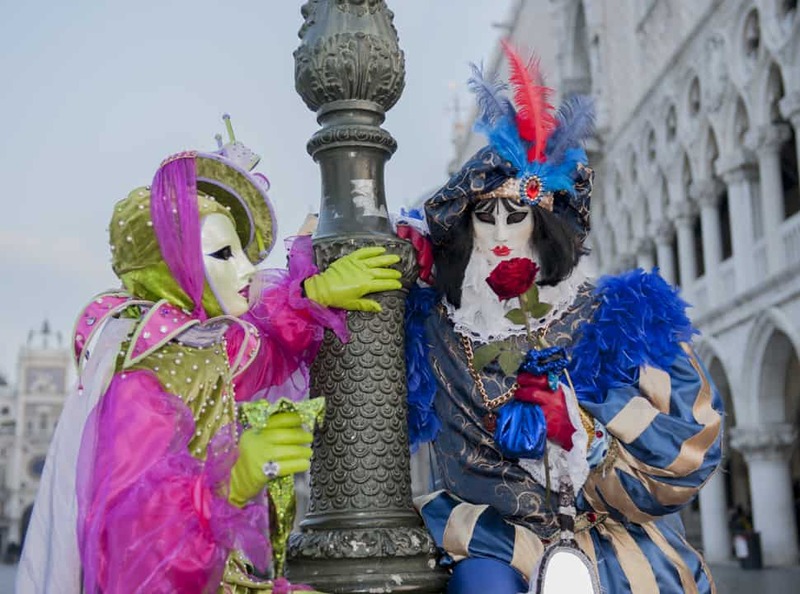 While there are some pricey masquerade balls, much of what goes on during the Carnival of Venice is free to the public, including parades, street performers, music performances, and the never-ending people watching. 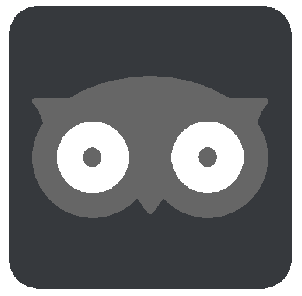 One caveat about the event: you have to tolerate crowds, and be patient and willing to worm your way through them to make the most of this festivity. 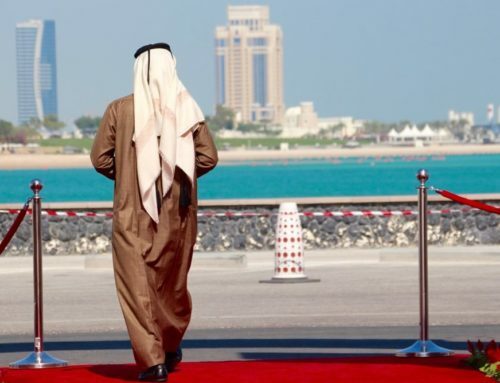 It is said that 3 million people attend yearly over the course of the two plus weeks and I’m betting 2.9 million of them have a camera in hand. Between the incredible backdrop of Venice coupled with all the costumed revelers willing and wanting their photos taken, I thought I had died and gone to photographer’s heaven. It was a simple matter of asking permission, and with a nod, the individual, couple, or group assumed a very elegant stance and froze. And within a minute or two, they gracefully moved into another pose making my job of capturing pleasing shots very straightforward. The downside here was the fact that other photographers moved in on my heels for the shot as well. 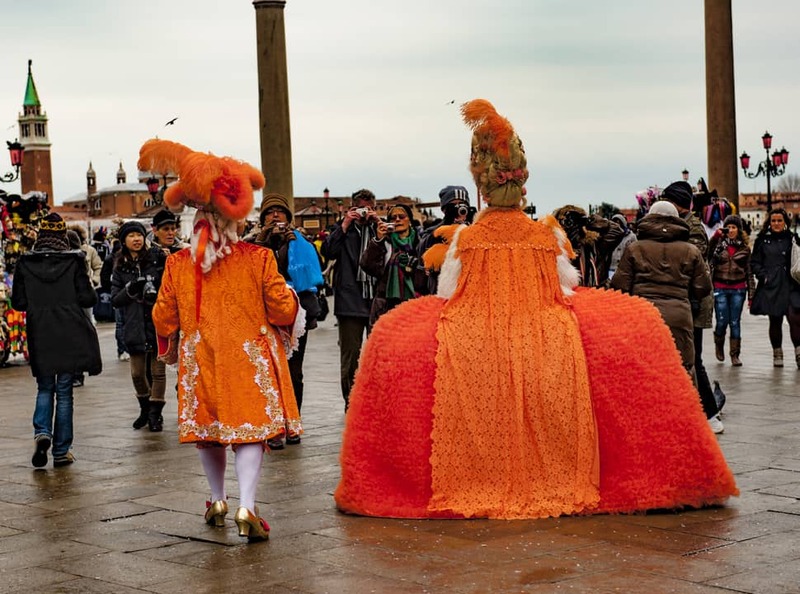 Now I would normally consider this rude behavior, but it didn’t take long to learn that common courtesy wasn’t going to rule during the Carnival of Venice, so best to jockey for position along with everyone else in the fray. When in Rome, do as the Romans do! The imagination and creativity of the costumes were mind-blowing. In chatting up a few of the partygoers, it became clear this is an event people plan for year after year, with elaborate costumes in the making for many months. 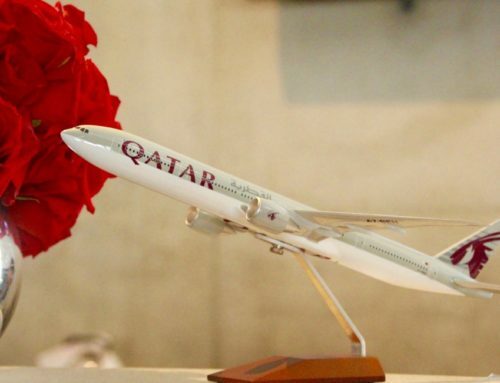 There were mimes, jokers, clowns, kings and queens, a woman sporting a miniature ship atop her giant wig, another young lady dressed up as an airplane in pink and black, and an endless array of glitzy Baroque era costumes. There were men cloaked in black except for white masks, creating an air of mystery as they slunk through the crowds. 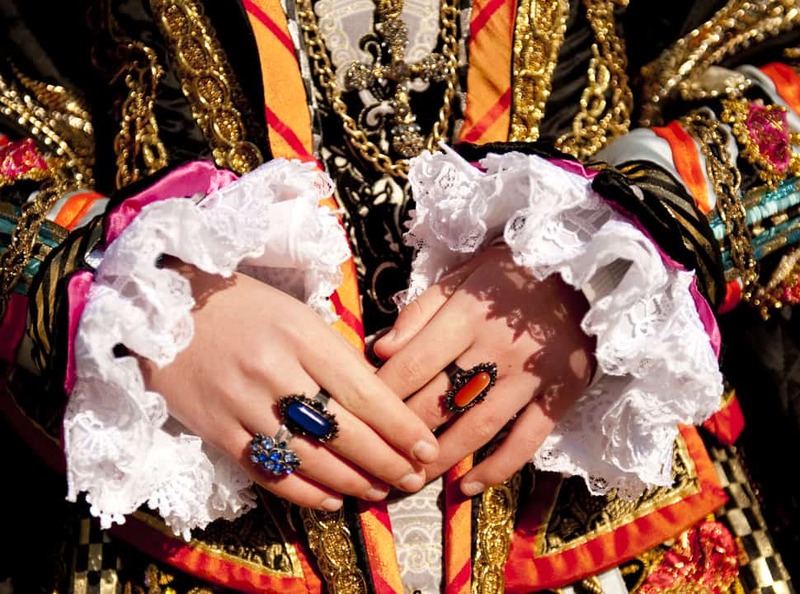 Every detail of the costumes, including accessories such as jewelry and socks, were beautifully coordinated. I couldn’t help but wonder at how tricky using the restrooms in some of these outfits would be, or even trying to sit and enjoy a meal. I was definitely underdressed in my jeans, but knew I didn’t have any bathroom challenges! I’m a collector of masks, so I was fascinated by this aspect of the costumes. 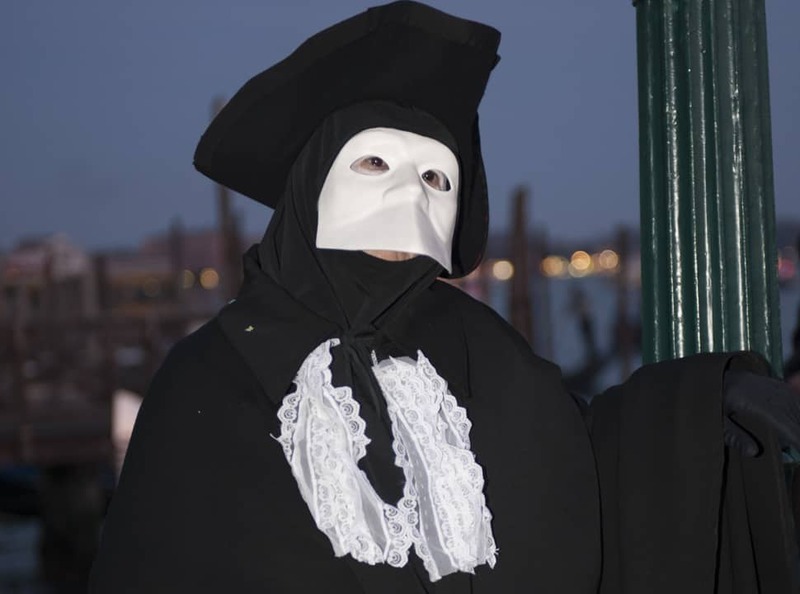 There was the Colombina, a half mask covering the nose, eyes and cheeks; the long beak variety known as the Medico della peste, and the eerie-looking bauta masks, covering the entire face and void of a mouth, most often worn on those cloaked in black. Every imaginable material adorned the paper mache masks, from feathers, flowers, jewels, ribbons, diamantes, gold and silver leaf, lace and filigree. Those not wearing a mask sported exaggerated makeup that complemented their dress. 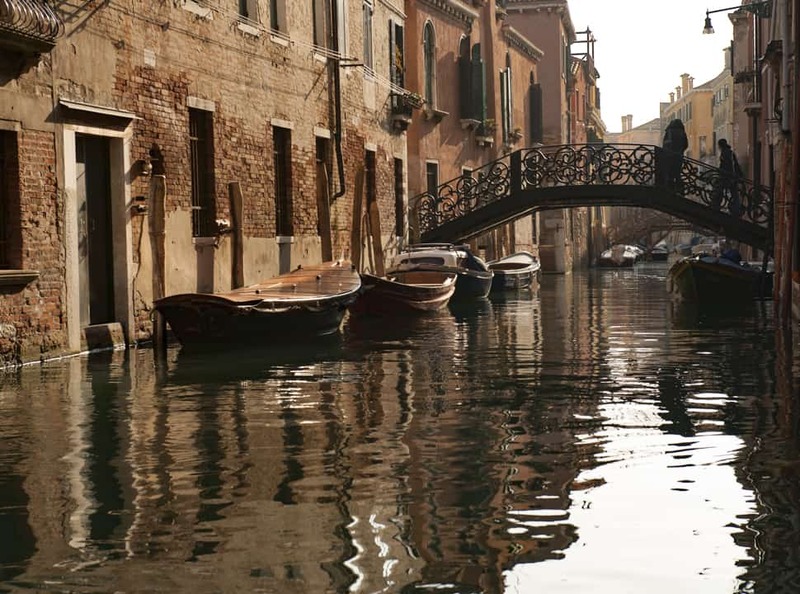 There is a significant history behind the styles of masks worth delving into should you find yourself headed to Venice. In fact, the Medico della peste mask was worn by doctors in the 17th century when treating plague patients. I timed my visit to be there the last three days of the Carnival, and stayed on for two extra days, giving myself time to enjoy Venice sans Carnival. I gave myself the gift of time to wander through the maze of bridges, canals, and cobblestone walkways. I found it a city worth getting lost in, lured on by my curiosity to see what photographic treasure might be hiding around the next corner of this enchanted place. There is no shortage of hotels and Airbnb’s in Venice to pick from. My choice was Hotel Ala, an easy 10-minute walk from St. Mark’s Square (known as Piazza San Marco), the hub of Venice and a solid point of orientation for this walkable city. The further out from the Square, the less expensive the rooms tend to be. Piazza San Marco occasionally floods during heavy rains, wind, and or high tides, and it can be quite an eye-opener to see the plaza submerged in water. It happened during my visit; the locals were quick to lay down raised platforms as a means for visitors to get around without having to wade through the water. This phenomenon, known as Acqua Alta, receded within an hour and just as quickly, the platforms were removed and all was back to normal. You hear about these things, but seeing is believing. 1. Explore the city via a gondola ride; touristy yes, but you’ll kick yourself later for not having experienced this amazing city from water’s level. 2. Spend a day exploring the nearby islands of Burano (noted for lace making) and Murano (famous for glass blowing). Easy to do via the Vaporetto, the water bus of Venice. 3. 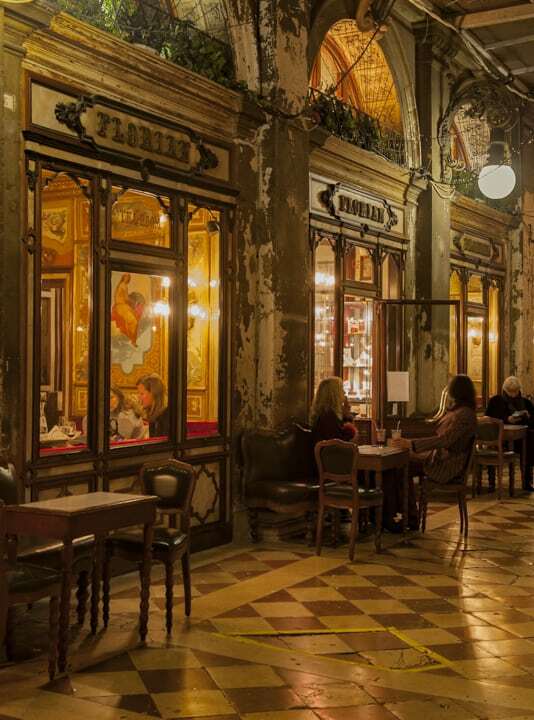 Stop for coffee or tea at the Caffe Florian, the oldest café in the world, in operation since 1720, it shimmers with elegance and grace. 4. Shop for a genuine Venetian mask as a lasting souvenir of your exquisite mask shops, or better yet, take a mask-making workshop. 5. Take a guided tour of St. Mark’s Basilica and or the Doge’s Palace. 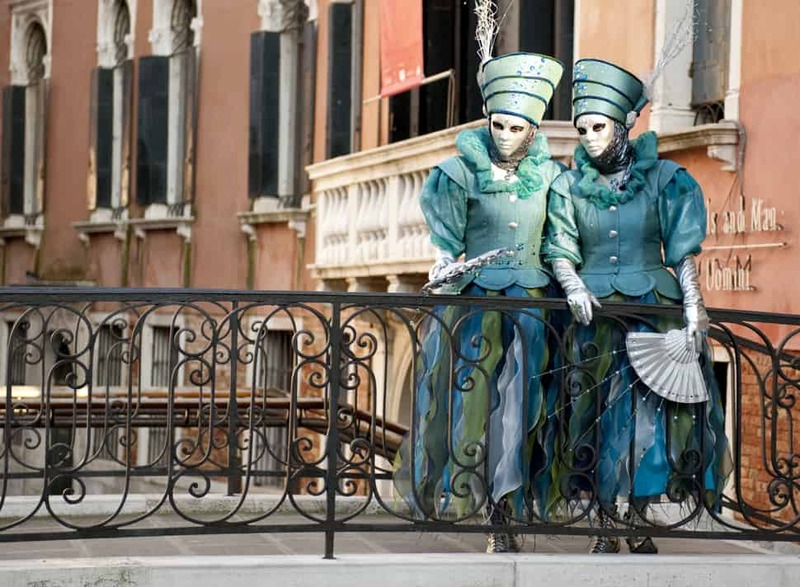 On my short list of travels is a trip back to Venice during the Carnival. I want to rent the costume, attend a gala ball, and be on the opposite side of the camera, mysteriously disguised behind some beautiful mask. Think how great the people watching will be! 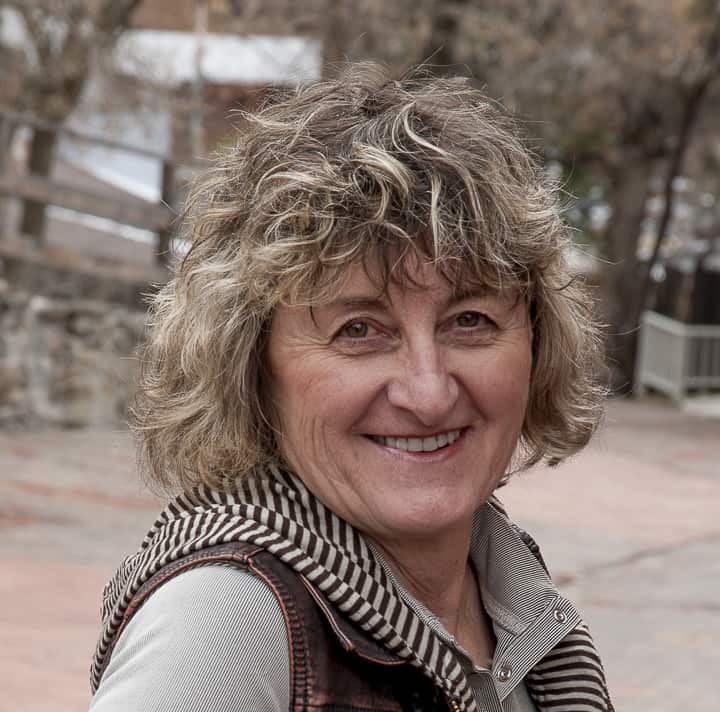 Donnie had been with the Montana Office of Tourism for 26 years, splitting her time as staff, photographer and working closely with the media. 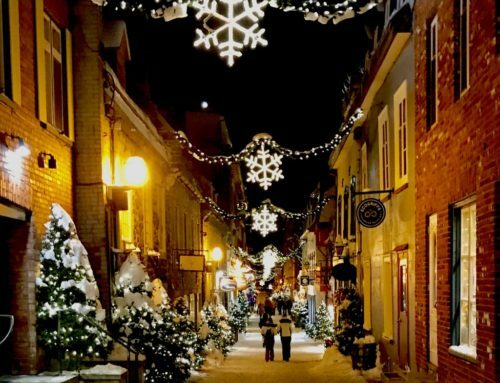 She is a self-taught photographer and has been fortunate to take a few workshops along the way with some inspiring instructors. 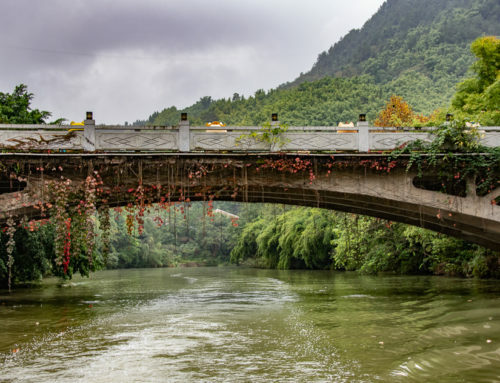 She has an insatiable appetite for travel that she has been documented primarily through her photos. 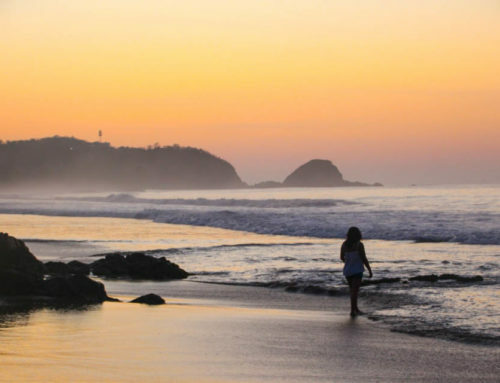 She always tells a story behind her images that defines a destination or an experience. It’s really interesting to see the way Carnivals are celebrated all over the world. I have a lot of friends in Trinidad and Tobago and their celebration is a lot more party-like. It seems like the costumes have similarities across the board though. Yes, I have been throughout Germany during Carnival as well and it is interesting the similarities and differences.